I live at the corner of 1912 and 1925. I discovered this fact shortly after I moved into my neighbourhood. As someone who commutes mainly by walking (and public transportation), I have the pleasure of seeing the world at a slower pace. This allows me to notice small things, like sidewalk date and name stamps, that most people are incognizant of. These inconspicuous markings in the urban landscape were originally used to date the construction of the sidewalk but consequently, mark the provenance of a neighbourhood. 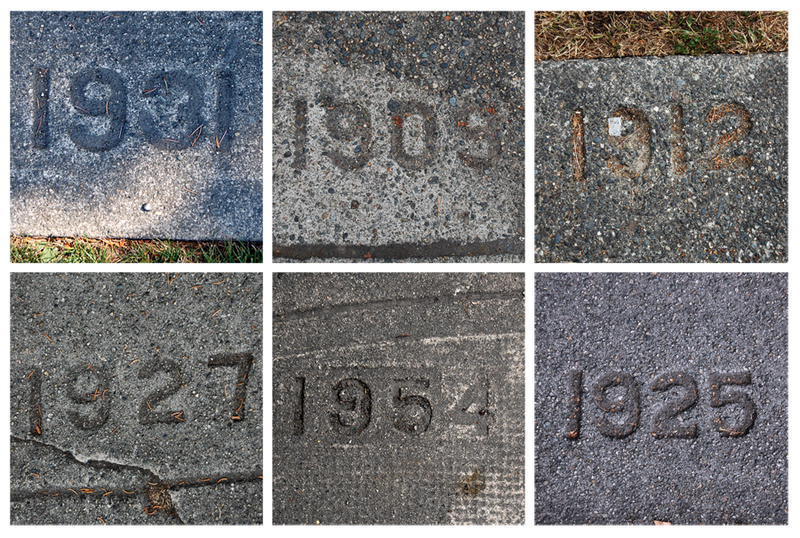 I live in an established part of the city, but since my building dates to ca.1960, I was quite surprised to find sidewalks dating from 1925 and 1912 intersecting on the corner of my block. The impact of this may be lost to those of you who live in older cities with plenty of heritage buildings, but here in Vancouver a building from 1960 can be considered old – a construction from 1912, is positively ancient! Remember when you were a kid – after the initial excitement of being on summer vacation had turned to boredom – and your mum demanded that you go play outside and get some fresh air and sunshine? Well, that is exactly what I am suggesting you do. And what better place could there be to go play outside, than Playland! 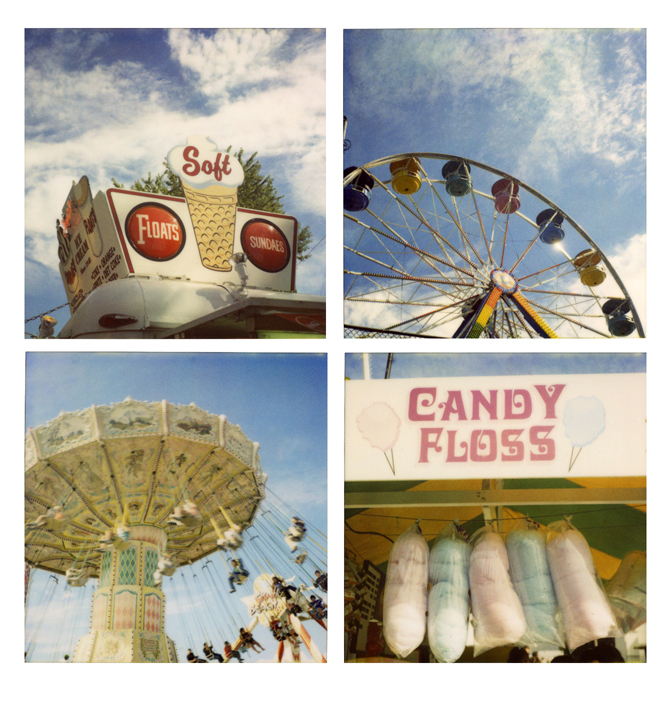 Playland amusement park, at the PNE (Pacific National Exhibition) fair site, is a great place to indulge in some analogue summertime fun. Where else can you enjoy deep fried butter (never tried it, never will), cotton candy, hamburgers from Jimmy’s Lunch, hotdogs and of course, those mini donuts, all in the same day? Revel in the classic fun and excitement of the games midway – Whac-A-Mole anyone? 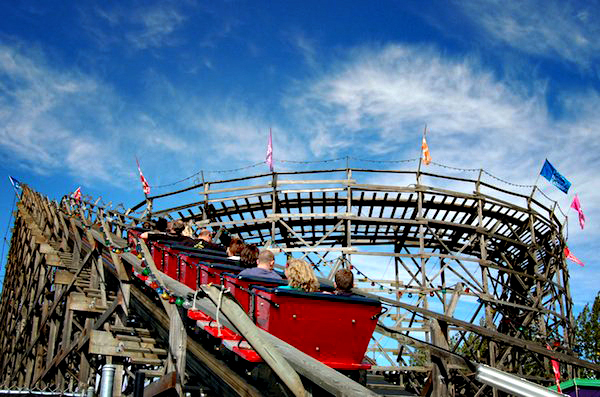 Don’t forget rides like the Wooden Roller Coaster – Playland’s most historic and spectacular attraction. Designed by the legendary ride construction team, Carl Phare and Walker LeRoy, the Playland Wooden Coaster was built in 1958. Prime Minister Wilfrid Laurier opened the first PNE, known at the time as “The Industrial Exhibition”, in 1910. According to the Vancouver Sun, the initial, featured midway (also opened in 1910) was dubbed Skid Row. In 1926, the PNE ( or the Vancouver Exhibition) opened its first permanent amusement park, called ‘Happyland’. At the end of the 1957 season the amusement park was moved to the east side of the fairgrounds and opened in 1958, under the new name of ‘Playland’. Previously owned by a number of parent companies, Playland became a division of the Pacific National Exhibition in 1993. Here is some fantastic (silent) footage shot in 1958, of the newly opened Playland. Experience the dizzying rides, the food and the circus sideshow on a sunny, summer day in 1958. ▶ PNE – Playland and Midway, 1958 – YouTube. My posts may be less frequent over the next few weeks, as I plan to get up from my computer ( and other technologies) and go outside and play. I invite you to do the same. Listen to your mother, get out and enjoy some fresh air and sunshine. Leave a comment Go outside and play!